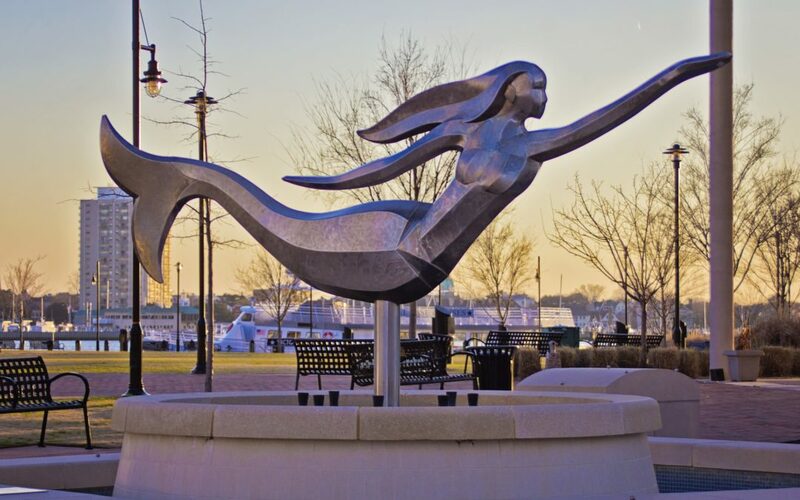 Mermaids have graced the city of Norfolk for well over a decade. Norfolk attorney Peter Decker (1936-2012) – known as “Uncle Pete” throughout the community – introduced the idea of Mermaids on Parade at a breakfast with 300 business and civic leaders at Nauticus on November 30, 1999. The idea is credited to his wife Bess who was inspired during a visit to Chicago at the height of that city’s Cows on Parade. 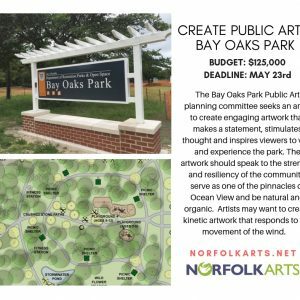 Through a public/private partnership, the Norfolk community pulled off the major event – Mermaids on Parade – in a short period. It was a huge success with local bronze sculptor Kevin Gallup mass-producing 130 mermaid castings for artists to decorate. Business and community leaders from Norfolk and beyond “adopted” mermaids at $2000 apiece that were auctioned off during the event.